Gambling ads: Would a pre-watershed ban protect young people? The Church of England has said gambling advertisements should be banned before the 21:00 watershed. But with our changing TV viewing habits, is the watershed still relevant? People aren't watching television in the way they used to. The Broadcasters' Audience Research Board (Barb), which publishes TV viewing figures, produces "timeshift viewing figures" showing the hours of programming watched after the time they were broadcast are on the rise. In theory, this means young people are more likely to be watching post-watershed programmes at any time of day, which could make the idea of a pre-watershed restriction less effective. But in the case of gambling advertisements in particular, a pre-watershed ban could reduce the amount of betting ads children see on television. This is partly because because a voluntary code in the industry means that before the watershed, nearly all televised commercials for gambling products and services are confined to broadcast sports events. And gambling companies make the most of televised sport - BBC research last year found that 95% of British football matches on TV featured at least one gambling commercial during ad breaks. 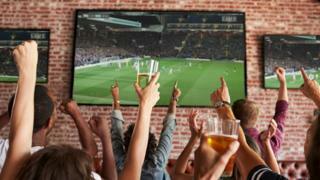 People are also more likely to watch sports live than other types of programme. Barb found that major sporting events significantly reduced the overall amount of "timeshifted" TV being watched - for example, in the summer of 2016 during the Euro football tournament and the Olympics, there was an "evident dip" in the figures. Although children and teenagers are spending more time than they used to online and on mobile phones, they still manage to fit in a lot of television. More than 90% of 12- to 15-year-olds watch TV for 14.5 hours a week, according to Ofcom's most recent survey of young people's media use. This is in addition to about 21 hours spent online and 18 hours on a mobile each week. A Gambling Commission report from December 2017 indicated 80% of 11- to 16-year-olds had seen gambling advertisements on television, and 39% had seen them more than once a week. This suggests a restriction on gambling ads during sporting events broadcast before the watershed could reduce young people's exposure to them. But there's no guarantee that companies won't then compensate by pouring money into betting ads elsewhere. After a ban on advertising junk food during children's programmes came into force, Ofcom estimated the amount of advertising for unhealthy food children were viewing during those programmes fell. But researchers at Newcastle University in 2012 did some detailed analysis of all individual foods advertised and found that children were in fact being exposed to as much advertising for unhealthy food after the ban as they were before it, because they were viewing more advertisements for food and drink during programmes not specifically targeted at children. It seems that brands were instead putting their money into advertising during family-friendly programmes that weren't explicitly for children but nevertheless attracted a young audience. Since 2007, gambling companies have been banned from advertising in media that is specifically for children or young people, including on YouTube channels and gaming sites. But already, 70% of young people say they have seen gambling adverts on social media, and two-thirds have seen them on other websites. So it's possible that under any pre-watershed ban, gambling companies would compensate for the lost commercial opportunities by focusing more of their marketing resources on online advertising.